You don’t sell a lot of ginger beer when the sun ain’t shining. That fact, and the icy wind blowing off the harbour in downtown Auckland on wet Saturday mornings, made me think I needed a warming gingery drink in the Hakanoa repertoire. When we’re making Hakanoa ginger beer, we cook our fresh ginger root first to release all the gingery goodness from the tough fibres of the ginger root. it smells gorgeous as it simmers. We also use organic raw sugar, organic sultanas and fresh lemon juice in the recipe. One wintery afternoon in 2010 I cooked up a syrupy concoction of those same ingredients that I though would be good mixed with hot water to make a hot ginger toddy. I took my first handful of Hakanoa Ginger Syrup bottles to Britomart Market the next Saturday. But all I had was a trestle table & a gazebo and my chilly bins – no facilities to make hot drinks at all. 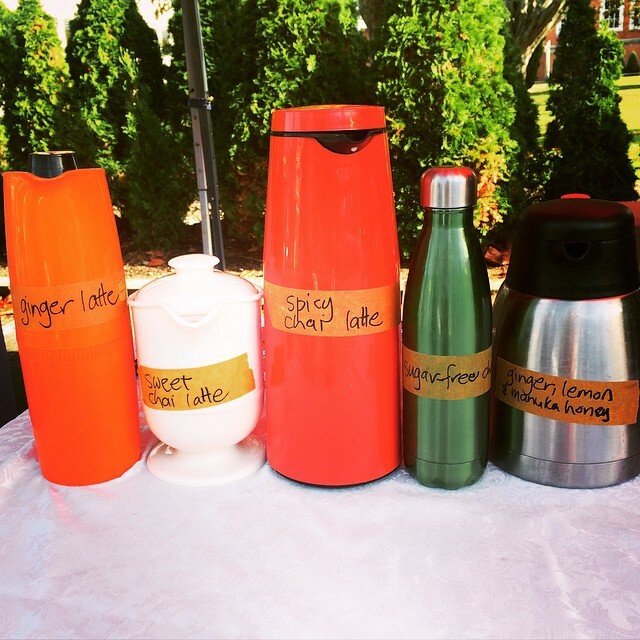 So I went to the organic coffee cart and talked to the owner and barista – Helen Ollivier. She agreed to put it on her stand for the day and see if anyone wanted to try it out. Helen handed me a cup of steamed milk with Hakanoa ginger syrup in it – and it was a total revelation. Instead of the punchy ginger heat and bite of the syrup in hot water, there was a soft warm glow of floral ginger and and soothing milk. It felt like a cuddle in a cup. Thus was born the Hakanoa Ginger Latte – which just has to be tried to be believed. It turns out this was also the birth of a myriad of culinary uses for Hakanoa Ginger Syrup. It’s dangerously good just drizzled over ice cream. 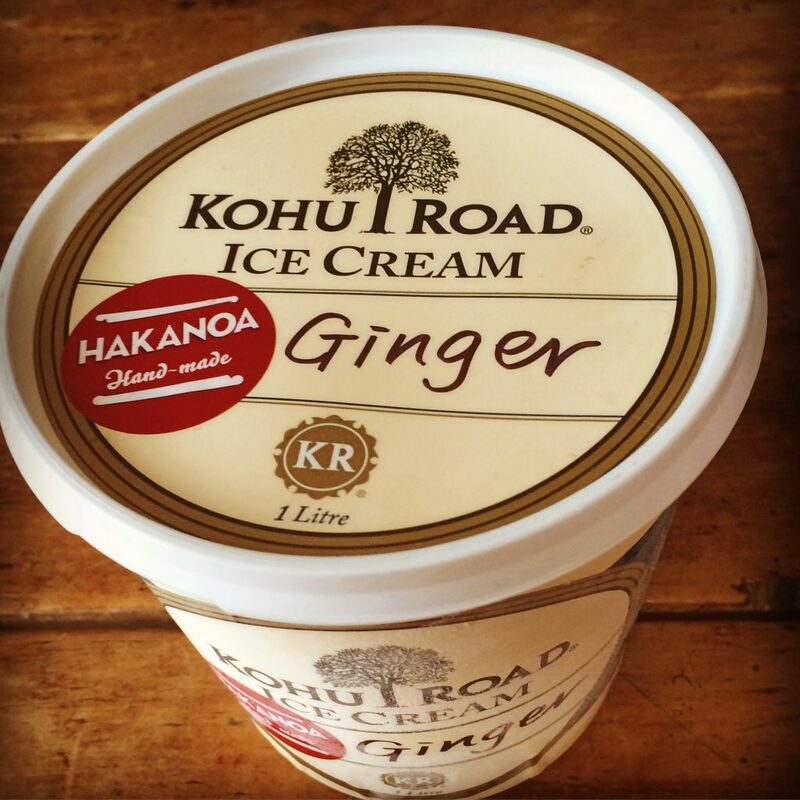 Kohu Road’s limited edition Hakanoa Ginger ice cream was a hit with everyone lucky enough to catch some. It’s a cocktail ingredient at Peter Gordon’s Providore & Tapa Room in London, and at Ponsonby’s Saan. Paul Jobin has always been a fan, using it in a signature salmon dish at Orbit, and in a chicken dish at Tantalus. it’s the basis for our own Ginger, Lemon & Organic Manuka Honey syrup, and our new range of Ginger Lime & Sesame dressings. 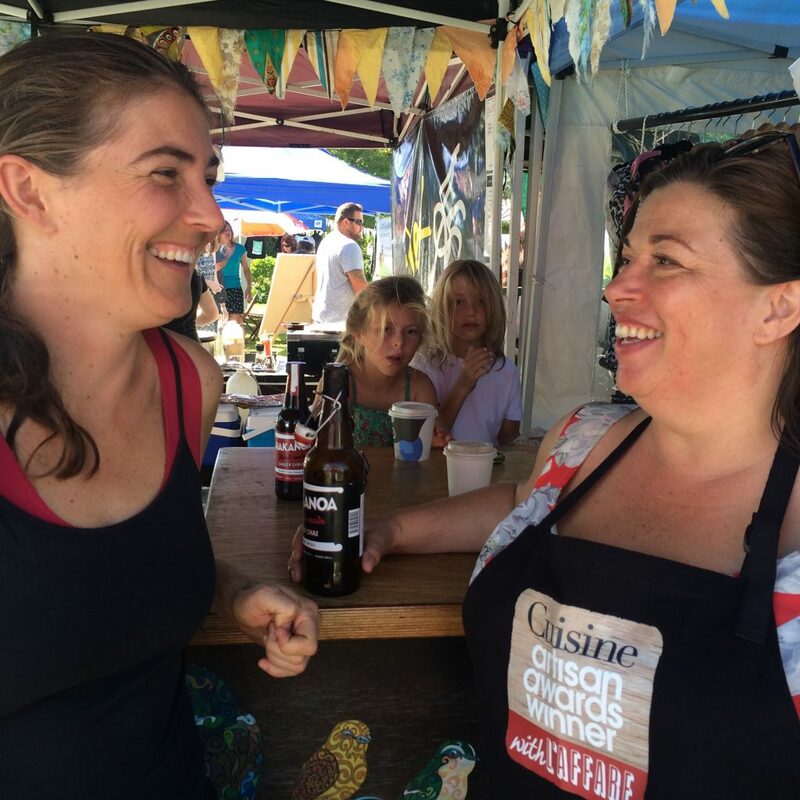 Last year it was a finalist in two categories in the NZ Food Awards – Artisan and Peoples Choice. We were pretty stoked given that we have to source most of our ingredients for the syrup from overseas. Helen’s inspiration didn’t stop there. One day st the Titirangi Village Market, we were chatting about the interesting mix of people there. She noted there were always a lot of chai drinkers at that particular market, and said ‘If you made a chai, I’d use it’. I’d been taught how to make Masala Chai years before, by someone who had cooke in an Ashram in Rajastan. We cooked whole spices in milk, low and slow, then add black tea and sugar at the end. The main flavours in Chai are ginger, cardamom & tea – but many other spices can be deployed to make one’s own favourite blend. Helen and I vetted nine of my recipes before we were completely happy with the balance of tea and spices and sweetness. Hakanoa Spicy Chai opens with cardamom, cinnamon and ginger on the nose, follows through with tea and a little touch of clove, and finishes with a lingering warmth from fresh ginger and black pepper. There’s just a touch of sweetness from raw organic cane sugar and organic sultanas – the two together have the richness of jaggery that works so well with the fresh spice. Helen’s long experience as a barista and her love of a good Chai made all the difference to my development process. 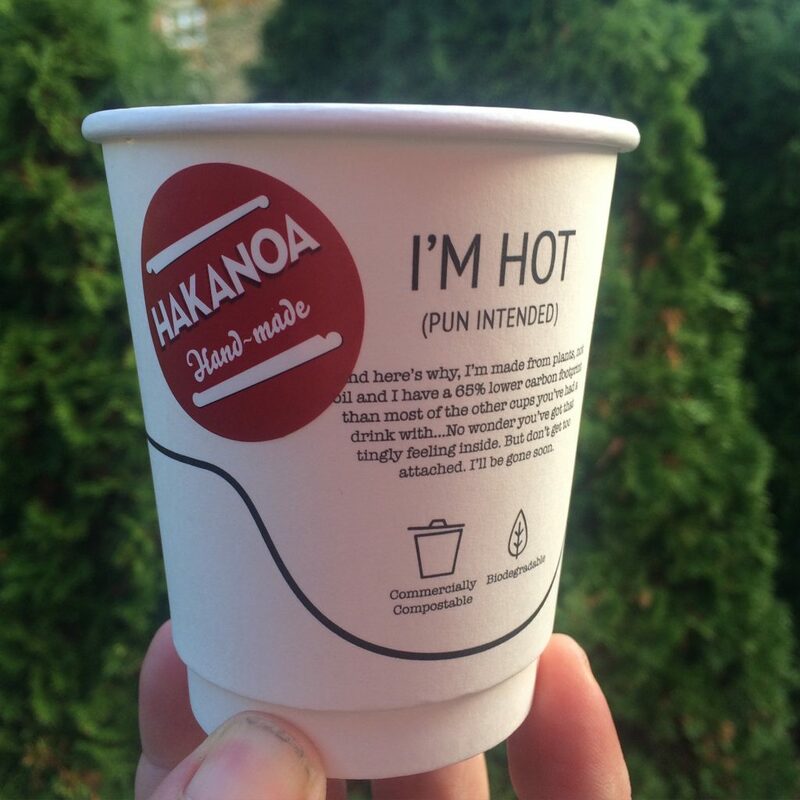 Hakanoa Spicy Chai is now used in hundreds of cafes around NZ, alrgely by word of mouth from barista to barista. We’ve made five more fresh spice concentrates & syrups especially for discerning baristas since then. Thanks to Helen, keeping baristas happy is now a guiding principle of our little business. Helen or her daughter Moana will make you an excellent organic fair trade Kokako coffee or a delicious Hakanoa latte from the Aotea Coffee Cart . You can find them every Saturday morning at Britomart Market or Parnell Trust Farmers Market, and once a month on a Sunday at Titirangi Village Market and the Coatesville Market.